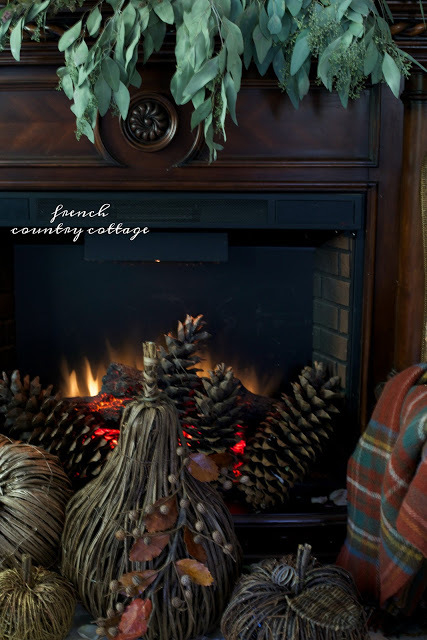 Friday Favorites - Rustic Autumn Mantel - I am working on autumn styling over here today. A table setting. A living room styling and even a recipe. I am working on autumn styling over here today. A table setting. A living room styling and even a recipe. To be honest, with it being soo hot recently, I have hardly been in the mood for all things fall. And- in between that, the renovations and working on my book photography- well you could just say that I am running a bit behind with seasonal decorating. But - yesterday my husband brought home a bucket full of autumn hydrangeas and - we found pumpkins. Which means- I am getting there and fall is on the way. Well, except for the Christmas tree in the living room. Friday Favorites posts are all about some of those favorite posts- and giving them some love again. 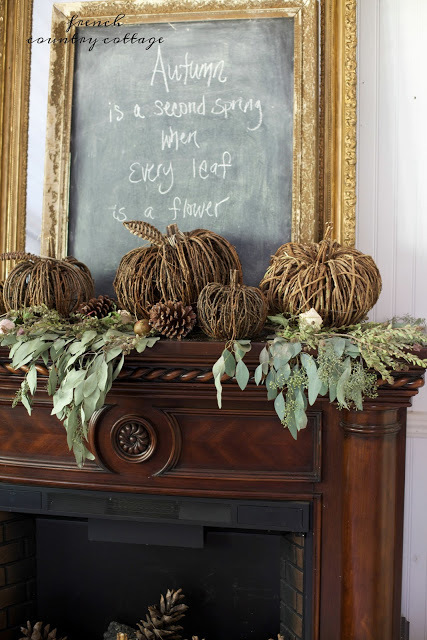 If you missed it- this autumn mantel was one of my absolute favorites. Not my usual French romantic look- it is a bit more rustic, woodsy- a bit more 'manly' if you will. and 2 degree temperatures here. I like the sage green of the leaves with the browns Very pretty! 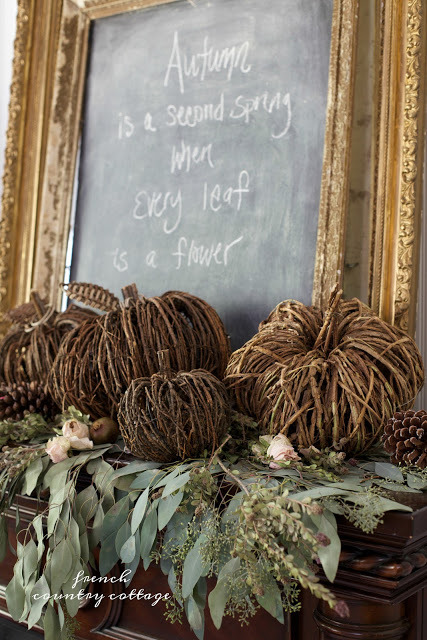 I love these rustic pumpkins and have seen some with lights. I have to go more this route for decorating outside because we have squirrels that eat my real pumpkins. So sad for me, but the squirrels have discovered a buffet of deliciousness. Who can blame them really? Have a great day Courtney! You have so beautifully captured the warmth of the Autumn glow. Have a great weekend! I really love when a themed scape has different earth tones to it, especially Fall ones. It's like bringing the beautiful forest and garden into one.